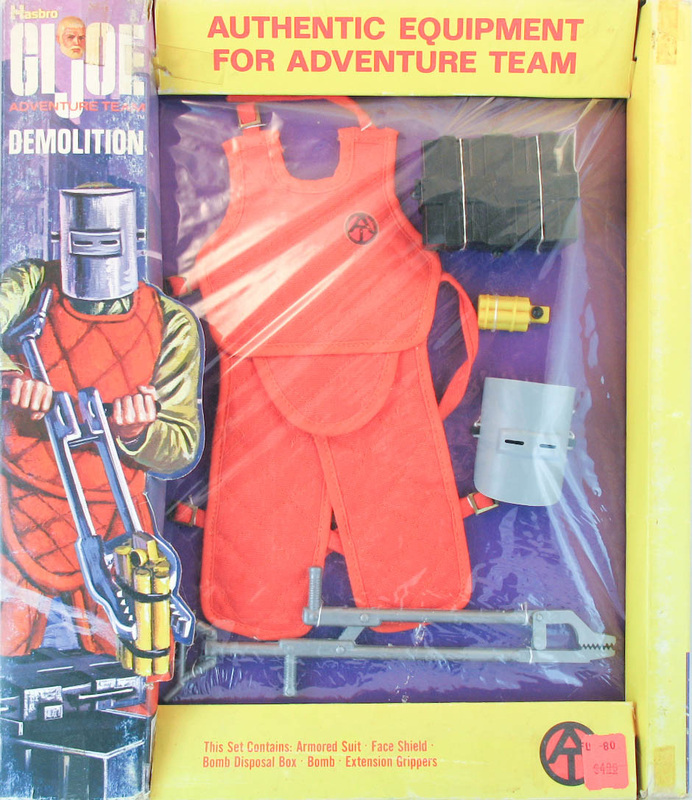 Joe works for the bomb squad in the Adventure Team's Demolition set (7370). The set's name was changed to Dangerous Removal in 1974, and the bomb replaced with a less deadly looking canister. 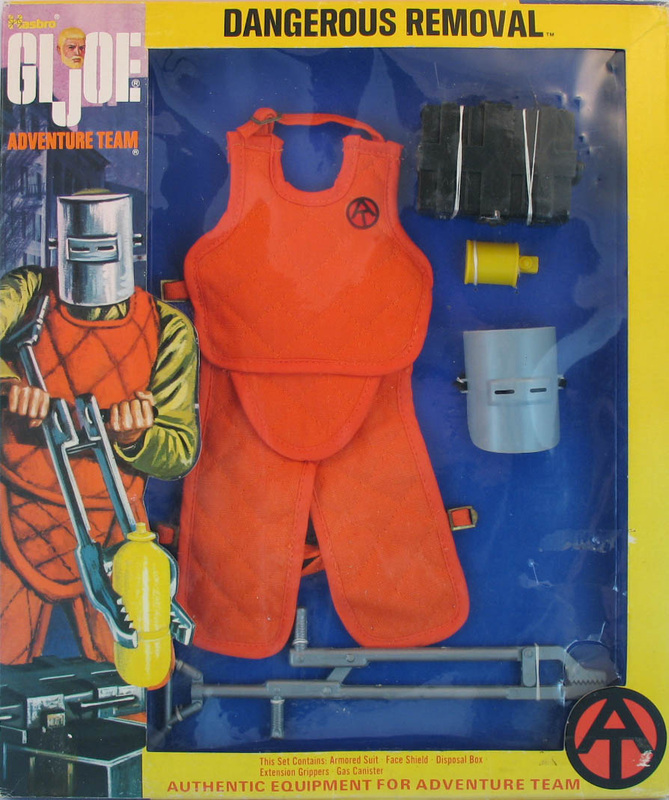 The box art from the set shows what appears to be the oxygen canister from Emergency Rescue, though the production version has a smaller version.